Both incidents took place in the early hours of Tuesday, 9 April at separate locations on Kilburn High Road. 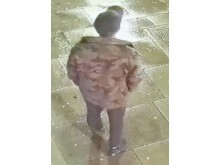 Police were initially called at 01:19hrs on Tuesday, 9 April to reports of an assault on Kilburn High Road, close to the junction with Victoria Road. Officers and the London Ambulance Service (LAS) attended and found a 63-year-old man suffering a stab wound to the back. He was taken to a central London hospital for treatment before being discharged. At around 02:35hrs police were called to reports of a second stabbing further along Kilburn High Road close to Cambridge Avenue. Officers and the LAS attended and found a 39-year-old man suffering a stab wound to the abdomen. He was taken to a central London hospital where he remains - his condition has been deemed as not life-threatening. 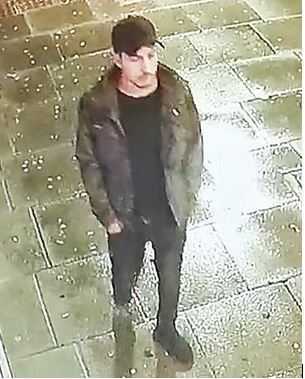 Detective Sergeant Mark Johnson, from North West Area's CID, said: "Following a thorough investigation, including analysis of CCTV, we are confident that the same person is responsible for both of the attacks that occurred in the early hours of Tuesday, 9 April. 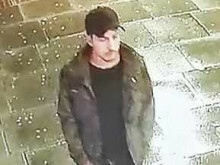 "We have released images of a man we want to trace and speak to - do you recognise him? If so, please get in contact with police immediately. "However, we need to identify and apprehend the person responsible for these attacks so I would ask anyone who has information that could assist this investigation, or who recognises this person, to contact us now. "While our investigation remains ongoing, I would reiterate our message to those out and about in Kilburn High Street and the surrounding area - please remain vigilant, be aware of your surroundings and, if you see anything suspicious, call police immediately on 999."